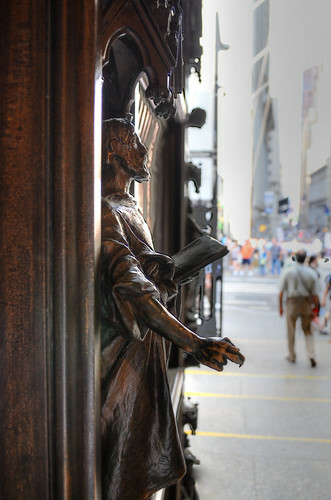 A figure from the heavy bronze door at Trinity Church, in NYC. 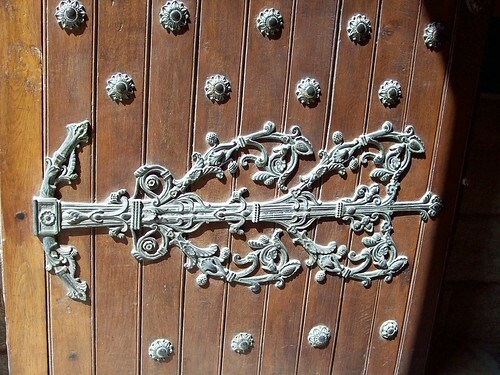 Done in HDR. 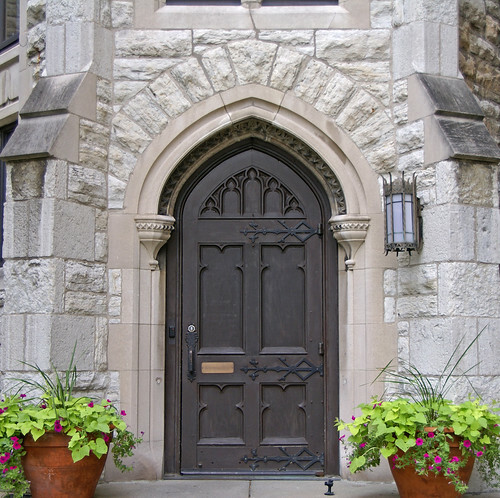 Door to Christ Church Episcopal Cathedral on Monument Circle in Indianapolis, Indiana. 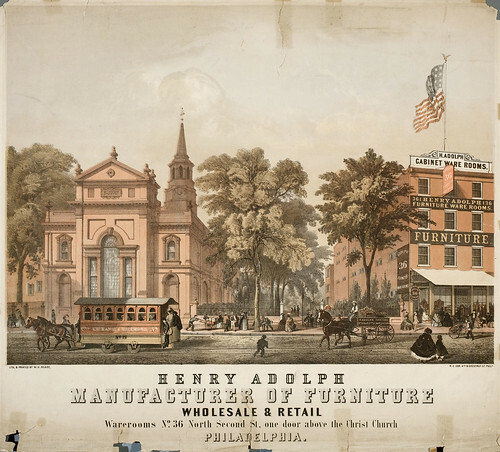 Advertisement showing the exterior of the furniture warerooms near Christ Church (22-34 N. 2nd St.). Clusters of people admire the furniture displayed in the windows of the storefront as patrons enter the building. The store is heavily adorned with signage and an American flag. Men, women, and children, including a man pushing a handcart, walk on the bustling sidewalk. A woman with a girl, and a delivery boy, cross the street near the "No. 21 Exchange & Richmond" streetcar, a "H. Adolph" delivery wagon, and another laborer pushing a handcart. Many of the women carry parasols. Also shows the gated, tree-lined promenade between the church and warerooms. Ten minutes from town, I arrive home. 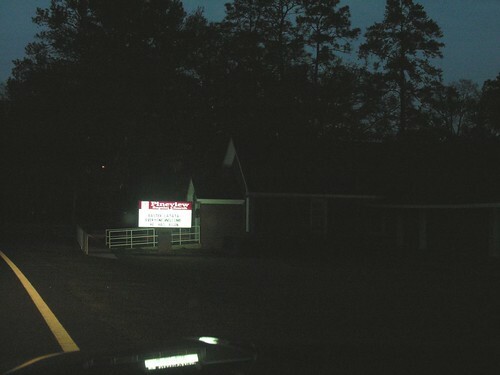 Just on the other side of this church is my husband’s family’s property. 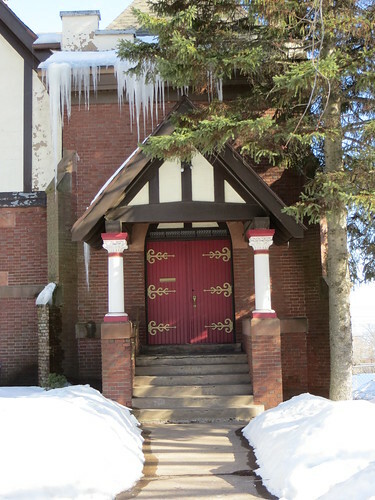 The church is advertising their Easter Cantata for this Sunday,–Everyone Welcome– "He Is Risen."